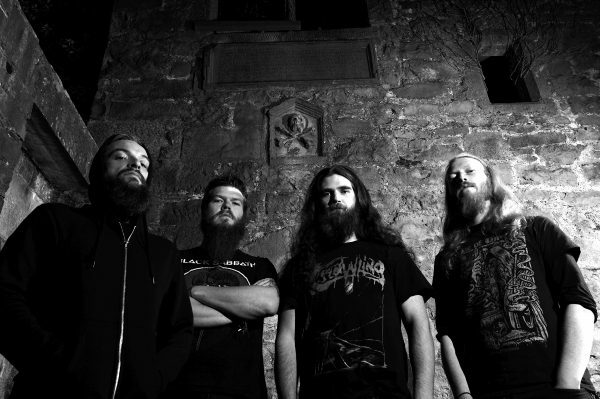 IRELAND’S SLUDGE OVERLORDS, TEN TON SLUG CONFIRMED FOR OFFICIAL BLACK LABEL SOCIETY IRISH TOUR DATES! 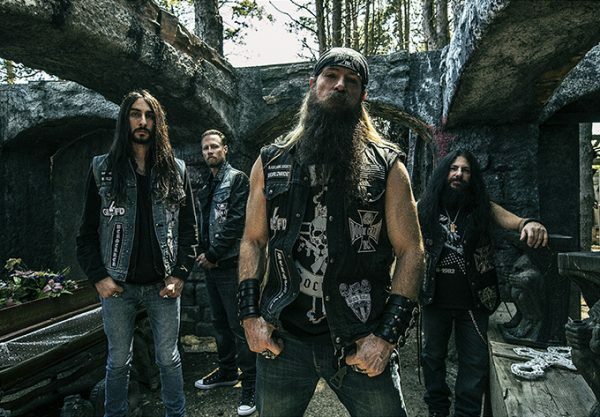 The Galway four-piece will hit the road with Zakk Wilde and Co, for all three of Black Label Society’s confirmed and near sold-out dates in Dublin Tivoli April 7th, and Belfast’s Limelight on April 8th and 9th. Both Dublin and the first night in Belfast are now completely SOLD OUT with a very limited number of tickets remaining for the second night in Belfast via Ticketmaster priced at £25 (inc booking fee). Having spoken to the lads ahead of today’s announcement, there is no question that TEN TON SLUG are planning to make their mark on 2018 with next month’s UK tour and their scheduled appearance at this year’s Metal Days Festival in Slovenia. OD – With the recent release of your sophomore EP “Blood and Slime“, can you give us an update on what’s happening with regards to new material as we all know that you guys just never stop working on the “Slug”? SLUG – We went back writing the week we released Blood and Slime actually! We have got a lot of new material floating around, some slower more melodic tracks, some faster heavy stuff similar to the Blood and Slime material, and some nice doomy stuff where we’re exploring new ideas and expanding on what we’ve been doing up to now. Progression is key and at the moment we’re letting it flow, seeing what happens and what comes together naturally. Most likely there will be new Slug material released this year, possibly an EP, a single or something longer. An album is on the cards soon anyways, but just how soon remains to be seen. 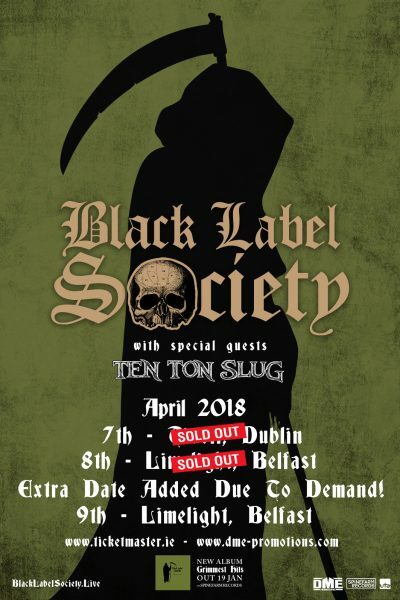 OD – You have just landed the official support for all Black Label Society shows in Ireland next month (April 7th/8th & 9th). Can you tell us what went through your minds when you found out you bagged these killer shows? SLUG – We couldn’t believe it and it still hasn’t sunk in! Elation definitely, immense gratitude to DME and Black Label Society for deeming us a decent enough band for the slot and trusting us to do a good job of it! We all listened to BLS for years growing up so it’s a real honour to be asked to share a stage with them! We’re really excited and it’s given us, even more, drive to step up our live show and work harder! 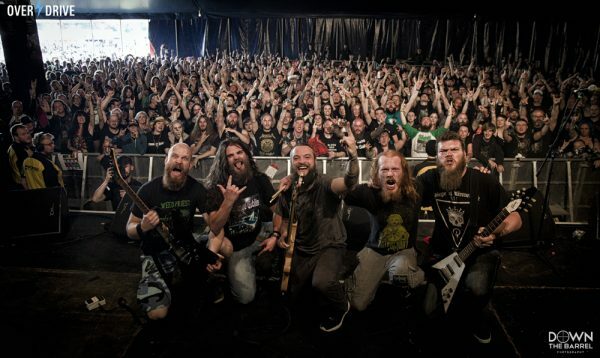 OD – 2018 is proving to be a great year for the band so far, with a hefty run of UK dates, the BLS support shows and then off to Manor Fest, Amplified Festival and Metal Days. Can we expect any more surprises in the coming months? SLUG – We’ve been busy lining things up for the rest of the year, and our sights are set well beyond that too. The ‘March of the Mollusc’ UK tour kicks off this Thursday with eight dates across the UK, then Galway and the Siege of Limerick at the end of the month. After the BLS support slots we share a stage with Memoriam, Evile and others at Manor Fest in May and then early July we hit Amplified Festival. EU dates before Metal Days are something we are working on as we haven’t yet played on the continent, and there is another festival we would love to play again but we’ll see what happens on that front! The Slug is hungrier than ever. 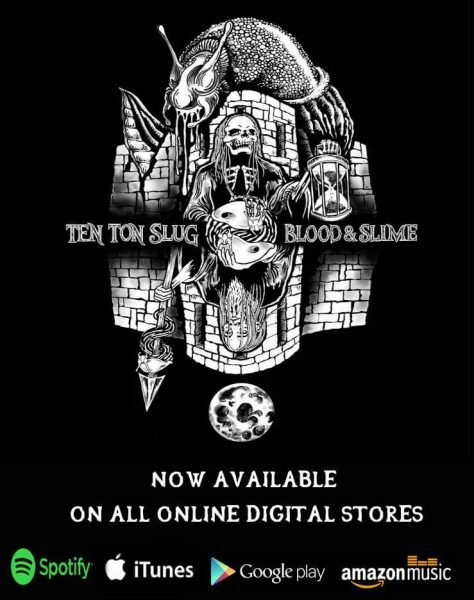 OD – If there’s one thing that has become clear, Ten Ton Slug’s merch is in serious demand. Have you thought about doing some custom merch exclusively for the BLS shows in April? SLUG – We’ve definitely thought about it, but as we only found out a few days ago and we go on tour on Thursday we’ll have to wait and see what we can make happen in the time we have. We’ll do something cool for it though, be it a shirt or something different! 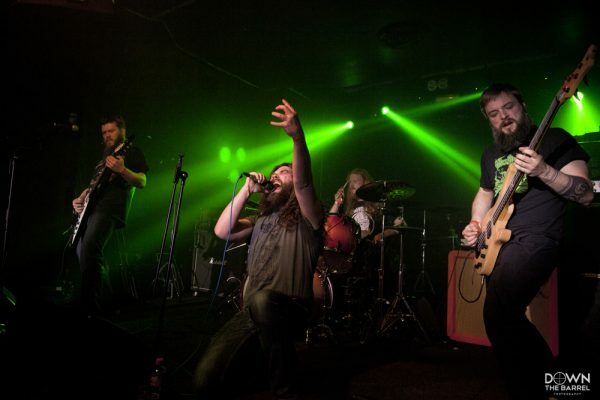 OD – Ever since you guys won the Irish Metal 2 The Masses, there has been a tremendous amount of fantastic opportunities that have presented themselves to you. 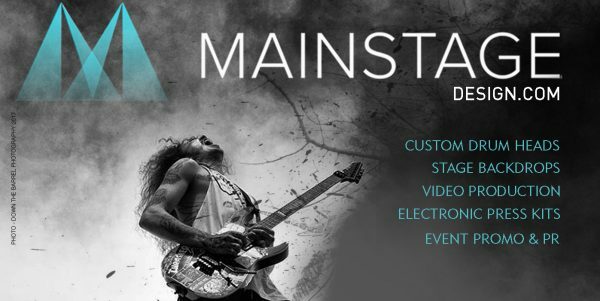 In all honesty, do you feel that taking part in M2TM was the right thing for you to do, as some bands still feel some negativity towards the annual event? SLUG – Without a doubt the best decision we’ve made as a band and one that has stood to us immensely. It made us realise what we are capable of if we put our minds to it and focus, and we’ve stayed in that mindset since it’s what has been driving us to do things and seek things that we wouldn’t have ever thought possible before. As with anything, it is what you make of it, so if people don’t wish to see it as an opportunity or take it seriously then that’s their decision, but also their loss. OD – Can we expect to hear any new material on these BLS shows? SLUG – It’s possible but depends on what fits best in the set and how ready everything is, we’re really excited to start playing some of the new stuff live, we’ll regroup after the tour and see how everything is fitting together then! Either way, there will be riffs!